Black Stem Peppermint - Also called black peppermint. Strong peppermint aroma and flavor. Dark green leaves with dark stems give this plant it's name. 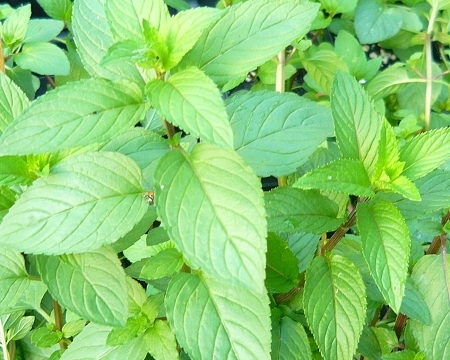 Good culinary peppermint variety for tea or flavoring. Perennial zones 4-9 Live plant in 3 inch container.